Lucky for those of you spending springtime in Florida, Encore’s wonderful resorts dot the west coast from north to south, or south to north, if you prefer. A stay at any one of our Gulf Coast resorts puts you in perfect proximity to sun and sand, not to mention a variety of festivals and cultural events happening this March and April. If you like food, there’s something for you. Music, you say? no problem. Museums, art exhibits, sports…the list goes on and there’s no end to what you can find for fun in Florida. Of course, there’s always the option to just relax, but hey, you can do that anytime! 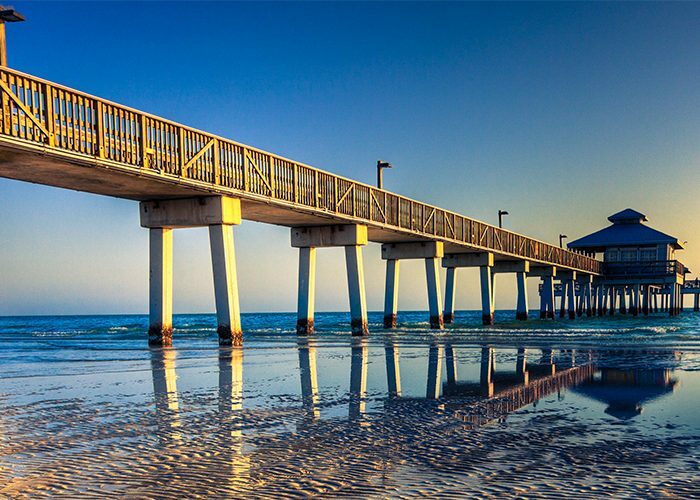 Of course, the Fort Myers area is known for having some of the best beaches in the country, but they also have some very interesting events coming up this spring. Consider the 2nd Annual Garlic Fest where you can “eat, drink and stink” until you can’t take it anymore. Scheduled for Saturday, March 30, enjoy live music plus an array of garlic-infused as more than 20 vendors offer menu items made with the stinky bulb. So grab your breath mints and head to Centennial Park in downtown Fort Myers. The event runs from 11 a.m. to 6 p.m.
With competitions from athletic skill to piping and drumming and dancing, the 53rd Annual Dunedin Highland Games and Festival is an event not to miss. Scheduled for Saturday, April 6, in addition to the competitions, there will be food vendors that will feature Scottish fare as well as ribs, seafood and pizza, and merchandise vendors where you can pick up Celtic treasures to remember this fun day. The event will be held at the Dunedin Community Center. Visit www.dunedinhighlandgames.com for more details. Dunedin, FL is about a 35-40 minute drive from Tampa. Top pit masters will compete for King of the BBQ bragging rights at the 10th Annual BBQ and Bluegrass Bash set for March 29-30, 2019. In addition to the BBQ, there is, of course, the bluegrass music which gathers together award-winning bluegrass bands for your listening pleasure. Friday night features a fish fry, classic car and truck cruise-in, and bluegrass, while Saturday is all about the BBQ. Check out www.suncoastbbqbash.com for more information. Every weekend from March 16 to April 28, the Busch Gardens Food & Wine Festival will tempt visitors with food, cocktails, craft beers and live music. This year, the event will feature “food cabins” which will offer menus based on different regions of the country, such as the Pacific Northwest, New Orleans, Southern California, the Heartland, Tex-Mex and more. Check out www.buschgardens.com for more event information. The Tampa Bay Blues Festival will delight blues lovers with three days of music from April 12 through April 14. Jonny Lang, Boz Scaggs, and Shemekia Copeland are just a few of the artists scheduled to play at this year’s event. The festival will be held in Vinoy Park in St. Petersburg. More information can be found at www.tampabaybluesfest.com. Visit www.RVontheGo.com to see all the Encore Resorts where you can stay and play during your Florida West Coast adventure! Next Article Your RV Adventure Starts Here!